The more income people have, the more educated they are and the higher their social status or class, the more likely they are to drink alcoholic beverages, studies show. An article at Potsdam.edu shows the connections between Socioeconomic Status and Alcohol Consumption. The article states, "Investigators received 2,349 completed mailed questionnaires from adults age 18-76 living in Melbourne. They found that adults of higher socioeconomic position were more likely to consume alcoholic beverages frequently. Those of lower status tended to drink less frequently but in higher quantities on each drinking occasion." Another article from Potsdam states, "Abstention from alcohol in the U.S. is closely associated with social status. The lower the social class, the higher the abstention. And, as is true throughout the world, women are more likely to abstain than are men. "...People choose to abstain from alcohol for many reasons. These include religious reasons, moral objections, abstinent family background, dislike of the taste of alcoholic beverages, fear of a lack of self-control, health reasons including the use of certain medications or pregnancy, the belief that alcohol consumption leads to dependence or alcoholism, legal reasons such as age, and the misperception that even light or moderate drinking is unhealthful even when not contraindicated for medical reasons." At AACEA, we're committed to keeping you informed of news and facts about alcohol consumption and the responsible sales and service of alcohol. 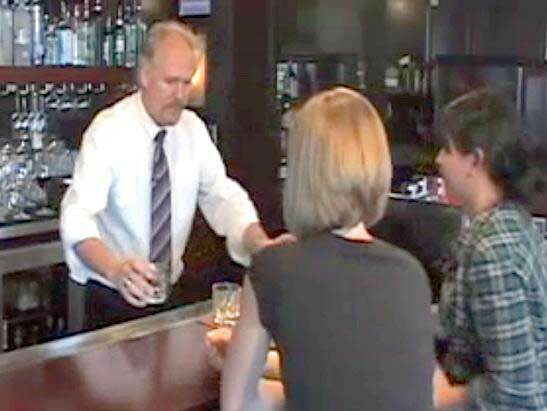 AACEA provides alcohol server training in Washington and Oregon– sign up today and you’re eligible to win $100 from AACEA and Len Riggs. To get your alcohol servers permit in Washington visit www.aacea.com.